Below is a 5-question test on the circle theorem that two radii make an isosceles triangle. This test is linked to the lesson on the circle theorem that two radii make an isosceles triangle, which also has a test. 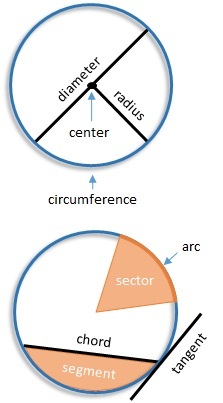 To understand the circle theorems, it is important to know the parts of a circle.